CONNECTING PEOPLE WITH THINGS THAT MATTER MOST. 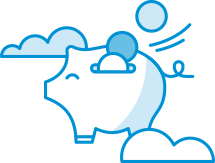 Cloudnine is the missing tool that will help to streamline, simplify, and grow your client base. All this, for a fraction of the cost of your current IT solution. 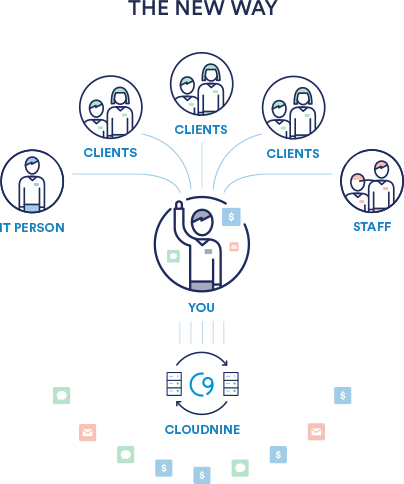 No matter the size of your organization, Cloudnine can help make your team more effective. Meet some our amazing customers. Professionals from a variety of industries around the globe count on Cloudnine to provide robust IT solutions. Multiple data centers ensure that employees and clients can securely access data anytime, anywhere. It’s easy for IT to get out of hand when you’re focused on growth and customer service. 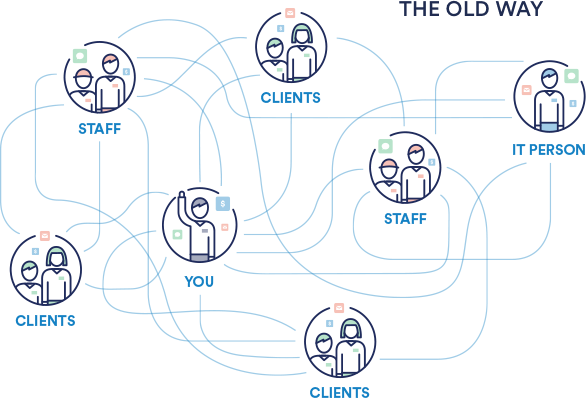 Managing your apps and clients’ tech shouldn’t be this hard or complicated. In order to succeed, IT needs to work seamlessly. Anytime. Anywhere. Cloudnine gives professional services firms the power to reach new heights through simple, cloud-based IT solutions. It’s time to take control of your tech.